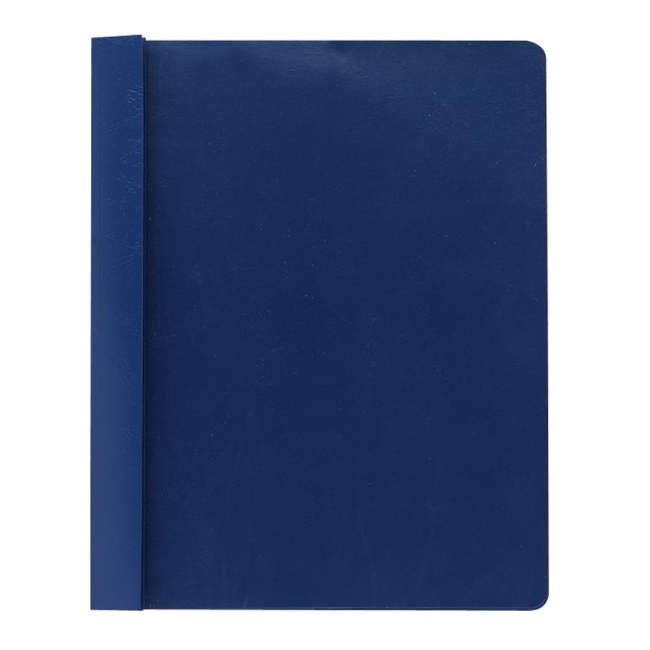 Report covers feature a clear vinyl front to show off your title page, durable colored stock back panel and binding edge. Back panel offers an embossed Spanish leather grain finish. 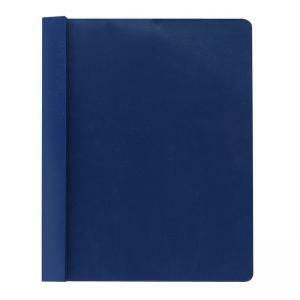 Secure paper with three 1/2" capacity double tang fasteners and metal eyelet binding holes. Fasteners are 4-1/4" apart with 8-1/2" outside centers for standard three-hole punch. Each report cover contains 50 percent recycled material with 10 percent post-consumer material.